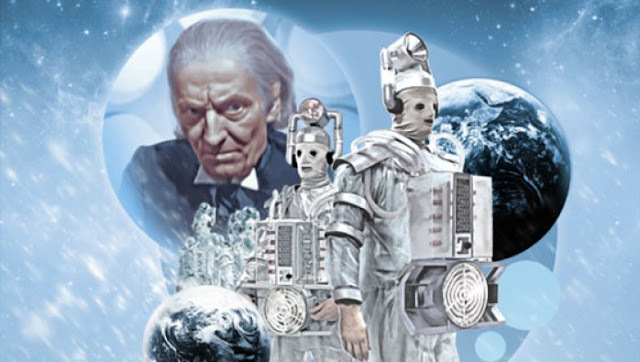 Doctor Who: Revisiting THE TENTH PLANET | Warped Factor - Words in the Key of Geek. Our countdown to Twice Upon A Time begins now as Dr. Moo rejuvenates himself. 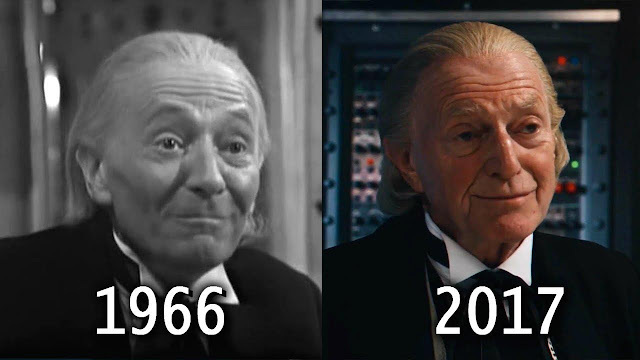 The year is 1966 and William Hartnell’s age and ill-health are catching up with him. But you have no immediate plans to cancel Doctor Who, the show that Hartnell played the lead role in and that only really worked because of how incredible his acting is. What do you do to get around this problem? The answer is simple: The Doctor is an alien, right? Who says he can’t just rejuvenate and become a younger man with a new body, new personality, and new everything? That’s what “The Tenth Planet” is all about doing. That genius idea is why the show is still able to go to this day. So as we look ahead to “Twice Upon A Time” – an episode set entirely during this serial’s final moments – it seems good to look back to the very first time it happened in The Tenth Planet. What’s really obvious when you watch this serial is that the regeneration (a term which wouldn’t be invented until almost a decade later) isn’t considered anything special. When it comes at the end of episode four it’s not done with much by way of foreshadowing nor given any meaning. The Doctor’s final words that we hear are said hours in-universe before he dies and, hilariously, they’re “keep warm”. That’s it, no meaningful speech or words of reassurance to companions Ben & Polly. The Doctor changes from William Hartnell into Patrick Troughton, yes, but it’s just a means to an end. They just want to keep the show going. There was no intention that the show could keep reinventing itself here, they just needed someone new to replace a leading man who despite his will to go on was simply not up to the task anymore. It’s probably the best throwaway decision in TV history. The plot of the story itself leading up to the main event at the end is mostly a very forgettable affair. It’s set in the year 1986 (which is twenty years in the future you must remember) at a Polar Research Base which the Doctor, Ben, and Polly stumble into almost by accident. While they’re there a new planet, Mondas, appears in the sky. Its inhabitants have augmented themselves with technology and want to take the people of Earth to join them in this enhancement so they can steal energy from Earth to repair their planet. Naturally the Mondasians decide to drop by the research base and let the people there know what the deal is, unfortunately the base in question is being run by a hammy lunatic who won’t take any of this and then eventually Mondas gets too much energy and explodes, killing its inhabitants. And if that reads like the Doctor, Ben, and Polly are superfluous to the plot then that’s because they are. The Doctor spends episodes one and two sitting around in a back room trying to warn everyone about what’s going to happen, in episode three he collapses and spends the whole thing passed out, then in episode four he comes back, sits around for a bit, and then he wonders off and dies. And as for the companions… Ben is useless the whole way through, going from one cell to another and adding nothing of value. Polly gets to scream when the villains are revealed at first, and spends the rest of the time generally there to look pretty and make tea. Talk about anti-climactic. This is hardly the same as a theatrically staged battle with two mortal enemies as the Time War breaks into the universe, or a grueling fight against time to get the only available cure to your poisoned companion, or spending 900 years guarding a lonely forgotten planet from religious extremists, or... well, you get the idea. But there is one thing about this serial which really really works, and that’s the Cybermen. Their original design is still arguably the best one. They look far more basic than their subsequent successors do, but it makes sense that they would be. These are humanoid individuals who have enhanced themselves robotically, and they actually look it. You don’t get that with the modern designs, where it can sometimes feel like the Cybermen are just robots. These ones actually look like people – You can still see their hands! – and as a result it’s that bit more effective. What’s really telling is that when Peter Capaldi’s Twelfth Doctor got to face this kind of Cyberman in 2017’s season finale they totally held up as a monster design. And I can’t avoid mentioning that singsong voice. That is just glorious to listen to! Thankfully when they returned, Nicholas Briggs was able to recreate that faithfully, just as he already had done a couple times before for Big Finish. 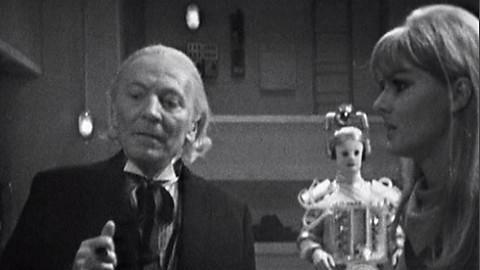 Episode two of “The Tenth Planet” is a really good showcase for them. You don’t get many of these Cybermen in the story but in that episode you’ve got one of them in the base being powerful and imposing and telling everyone what’s what. The Doctor gets to confront it and give it a speech about why it’s wrong, and the Cyberman effectively disregards every word. It’s a shame the story doesn’t choose to put the focus on them as much as it should, because after episode two they vanish until the fourth and final episode where they have just become yet another alien race intent on destroying the Earth. But at least episode two is good for them? 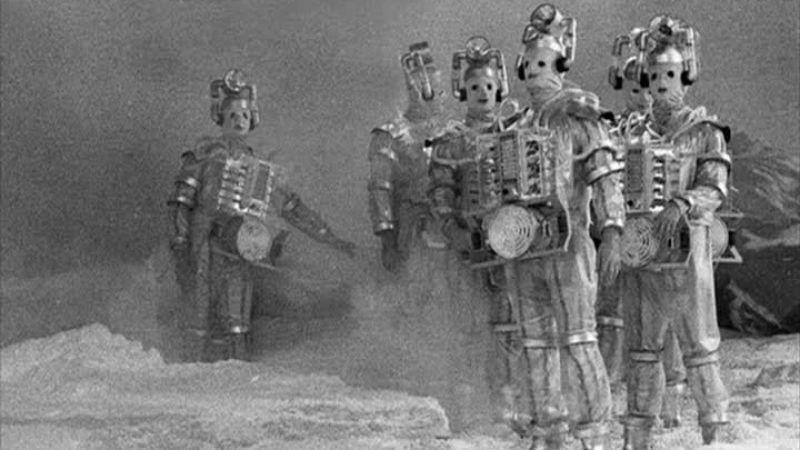 After this the Cybermen will be pushed more and more to the side. It’s only really in “The Invasion” that they get to be good again and even there they’re effectively an army of redshirt goons working for the far more interesting human villain. At least Hartnell’s regeneration looks cool, right? That must have been mind-blowing to watch for the first time! Shame the story it happens in is such a non-event. And really, that sums up “The Tenth Planet”. It’s essentially a mishmash of good ideas done badly, which is disappointing at the best of times. But in a story that’s significant on not one but two counts, that makes it even worse. The fact is that, as I said earlier, this was made to fill four episodes before Hartnell left the production. The series didn’t know quite what to do with itself at this point, and it really really shows. That was all about to change with Patrick Troughton coming in, but they had to do something first and that’s what this serial is. Should you watch “The Tenth Planet” then? Yes, I think so. I don’t want to just be saying that because it has the regeneration and Cybermen in their debuts, but I’d be lying if I said otherwise. Let’s hope that when the First Doctor shows up again in “Twice Upon A Time” we see that this character is done justice with a decent ending. It can’t be a worse than his original one was, right…? The ball’s in your court, Mr Moffat! You can catch an exclusive clip from Twice Upon A Time on this year's Children In Need, sometime between 7:30-10:00pm tonight, Friday November 17th, on BBC One.